Hello! My name is Emily Arnett and I am incredibly excited to share my love and passion for Disney with you. Walt Disney World is my favorite place in the world and I do everything in my power to make Disney an enormous part of my life. Just after graduating college, my husband and I moved to Florida to become Cast Members and work for our pal, Mickey Mouse. I have firsthand experience working in a Deluxe Resort on Walt Disney World property and I am extremely passionate about providing exceptional, Disney-quality guest service. My husband and I have created countless magical Disney memories that are truly priceless. We got engaged right in front of Cinderella Castle and spent our honeymoon at Disney as well. Apart from the time we lived there, I have made 19 trips to Walt Disney World and I am always planning my next trip! Of my 19 visits to Walt Disney World, 12 of them have been within the past 3 years so I definitely stay up to date on the latest Disney news and updates around the parks. There is no question that Disney is my passion. 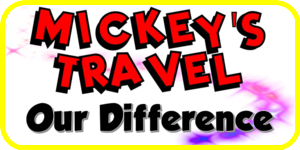 I have joined the Mickey’s Travel team to share my passion and experience with others by helping to plan the most magical, memorable experiences for each and every guest. 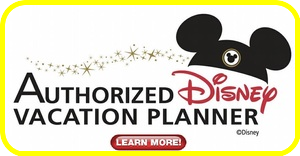 I would be honored to assist you and your family in planning an absolutely amazing vacation at a Disney destination that will provide wonderful memories for years to come. Favorite Disney Park Magic Kingdom.